As Sussex recovers from the effects of Storm Imogen, forecasters have warned that the South faces a very cold period that could last the rest of the month. While snow is forecast as far south as the Midlands in the next few days, Sussex is set for severe frosts, wintry showers and bitterly cold winds that will make the daytime temperature feel as low as -5degC. 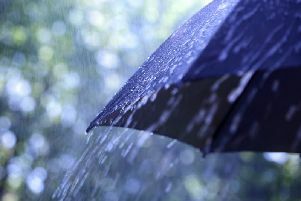 After a winter dominated by heavy rain, strong winds and temperatures as high as 12degC the return to more ‘normal’ conditions may come as a shock to some. Temperatures are set to drop tonight (Wednesday February 10) to freezing by dawn and rising to around 7degC in some brief sunshine. Friday and the weekend are currently forecast to see some rain (described by the Met Office as ‘wintry precipitation’). However, the wind is due to pick up on Monday with daytime temperatures peaking around 5degC but feeling much colder in the northerly gusts.